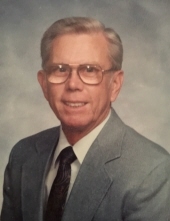 Ronald Lynn Tully passed away Monday, March 25, 2019, in Moss Point, MS. He was born July 7, 1931 and grew up in Pascagoula, MS. He moved to Moss Point 32 years ago. Ronald was known as “Tony” to his wife and friends. He was given this nick name as a young boy by his Grandfather Goff. Tony graduated from Pascagoula High School in 1951. A year later he was drafted into the United States Army. His tour of duty was served at Fort Jackson, South Carolina and Seoul, Korea. Returning to Mississippi, Tony joined the workforce at Ingalls Shipbuilding. He was skilled in electrical drafting and distinguished by his knowledge of ships and their wiring. Because of his capacities, the later part of his career at Ingalls was spent in the area of Field Engineering. A devoted employee of Ingalls, Tony transitioned into retirement after nearly thirty-eight years of devoted and patriotic work. Tony was a quiet, caring person. As a young lad, he received Christ as his personal Lord and Savior. He loved Christ and served him in many ways, with no desire for recognition. Tony loved his high school “sweetheart”, who became his wife, Rae Shutter Tully. Their marriage of 57 years was characterized by selfless love, sincere compassion, and countless deeds of love. Of Tony, it could be said; as Paul did of Barnabus, “he was a good man, full of the Holy Spirit and of faith” (Acts 11:24). Tony Tully loved life. But life for Tony was in giving to others. He may have appeared shy and reserved; his heart was revealed in his care for those about him. Tony was a loyal member of First Presbyterian Church, Pascagoula. So many elderly church members and others benefited from his kindly spirit. He was a devoted citizen of his country, evident by his appreciation of the church’s patriotic services. As well, Tony was a member of the American Legion, Pascagoula, Post #0160. Ronald was preceded in death by his mother, Thelma Goff Tully; his step-father, Gary P. Tully; mother-in-law Margaret J. Shutter; father-in-law, Merel E. Shutter and his brother-in-law, Merel D. “Skip” Shutter. Left behind to grieve Tony’s passing is his wife Rae M. Tully. They were an example to all of what marriage should be. Also, to miss his is his kitty, Muffin, who loved to cuddle in his lap, and his dog Hannah, who always knew he had a treat waiting for her. Many family members and friends will celebrate that Tony has joined his savior in eternity. A memorial service will be held at First Presbyterian Church, Pascagoula, MS., on Tuesday, April 2, 2019. Visitation will be from 10:00 a.m. – 11:00 a.m., the memorial service will immediately follow with the Rev. Mathew Mitchell officiating. In lieu of flowers, the family requests that memorial gifts be directed to First Presbyterian Church, Pascagoula. To send flowers or a remembrance gift to the family of Ronald Lynn "Tony" Tully, please visit our Tribute Store. "Email Address" would like to share the life celebration of Ronald Lynn "Tony" Tully. Click on the "link" to go to share a favorite memory or leave a condolence message for the family.